In the late 19th century, before people used videos or infographics to relay information, the tool of writing was the easiest and most predominant way of sharing information and ideas. Many prolific writers emerged in this age, especially from Japan. Each of them had their own style of writing, as some of them preferred delving into topics such as lust and erotica, while others preferred to explore and create a literary supernatural realm. One Japanese man was able to write such vivid and imaginative stories that many of his pieces were used for short plays (or rather, different Japanese dance dramas called “Kabuki”) and his novels enthralled his readers with his surrealist and paranormal world. This man was named Izumi Kyouka. The pen name “Izumi Kyouka” (sometimes spelled as “Izumi Kyoka”, and written in Japanese as “泉 鏡花”) belongs to a man who was born under the name “Izumi Kyotaro” (泉 鏡太郎). 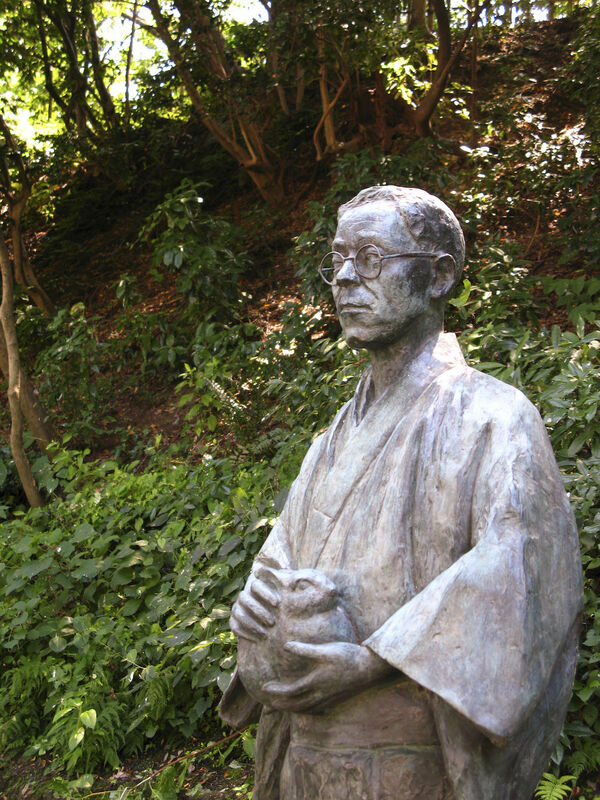 He was born on November 4, 1873, in Kanazawa city (around the Shitashinmaci area) of Ishikawa Prefecture, in Japan. Kyouka is known for writing highly acclaimed plays, haiku poetry, novels, as well as short stories. His most notable works include “One Day in Spring”, “The Grass Labyrinth”, “Demon Pond”, and “The Heartvine”, among others. 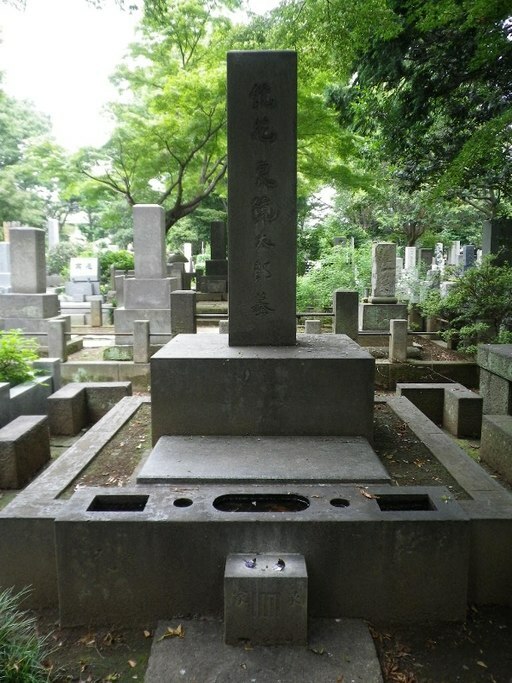 Izumi Kyouka passed away on September 7, 1939, in Tokyo, Japan, from lung cancer, and is laid to rest in Zoshiyaga cemetery, Tokyo. He was 65 years old. Though Kyouka may be quoted from the many pieces he’s written, one quote stands out as being the most popular, simple, and familiar to readers. “The power of letters is immeasurable. Use them with care". Here, Kyouka makes a simple point that anything one writes can cause changes that are beyond one’s imagination. Anything simple you write can have a dramatic effect on someone, and this power must be taken cared of even if you’re a renowned writer like him or someone who is just sending a letter to someone else. The parents of Kyouka were Nakata Suzu (中田 鈴), his mother, and Izumi Seiji (泉 清次), his father. Izumi Seiji worked with metallic ornaments, chasing and inlaying. His mother, on the other hand, was more familiar with the theatrical world, as her father was a professional “tsuzumi” drummer hailing from Edo. A tsuzumi drum takes the shape of an hourglass, giving two surfaces to tap on, and is played by hand. Nakata also had an older brother named Kintaro Matsumoto who was very much involved in performing in classical Japanese musical dramas called “Noh” theater. Despite the fact most of them have jobs in the art community, the family still struggled very much financially. This forced Kyouka to study in a school headed by Christian missionaries that offered free tuition called “Hokuriku English-Japanese School”. This sets him apart from many of the other prominent writers of his era, who were usually sent to a prestigious university that would fuel and aid them in their literary interests. In more of a unique circumstance, Kyouka’s love for literature was primarily introduced to him by his mother. Kyouka was but a young boy aged around 5 or 6 when his mother used picture books to entertain him, as the pictures would inspire Kyouka with visual connections to the literature he was consuming. “Kusazoshi” is the name that this kind of media, as the pictures would be etched on woodblocks, illustrating many genres and stories while aiding it with short bursts of text. Many speculators guess that his past experiences with visual literature would later influence his graphic style of writing. Sadly, Kyouka’s mother would pass away at only 29 years old which would highly impact Kyouka’s life. She died in April in the year 1883. Kyouka was only 9 years old. Kyouka was so affected by her loss that even well into his adulthood, he cherished and relived the thought of her in much of his literature. Once Kyouka felt he was ready, he traveled to Toyama Prefecture one summery June. He took up the profession of teaching and was hired by different private preparatory schools. When Kyouka wasn’t teaching, he was reading, specifically, two book genres called “kusazoshi” and “yomihon”. He stayed in Toyoma Prefecture for only 5 months, moving to Tokyo in November to fully achieve his dreams of being a writer. Kyouka was only 16 when started a new chapter in Tokyo, adventurously moving there. At this point, he was already very sure that he wanted to pursue literature, as the work of Ozaki’s that had made a strong imprint on him was called “Amorous Confessions of Two Nuns”. Moving to Tokyo was a part of Kyouka’s plan to learn from a mentor who was already of importance in the literary field at that time, and who else was better to mentor him than Ozaki Koyo himself? Not only did Kyouka brazenly call Ozaki when he was in Usihgome (which is an area in Tokyo now located in Shinjuku) without having sent him a notice, or even meeting him beforehand, Kyouka asked if Ozaka could automatically let him enroll in Ozaka’s school as soon as possible. Ozaka surprisingly allowed this and let Kyouka under his wing. The two lived together, and as a form of payment for the literary advice and guidance of Ozaki, Kyouka did Ozaki’s housework. Kyouka, no doubt, became Ozaki’s apprentice. Kyouka was determined to prove himself to Koyo by practice-proofreading and correcting Ozaki’s own manuscripts, as well as being diligent in completing chores around the house. Ozaki Koyo was, without a doubt. Kyouka’s idol, short of describing him as a hero to the young boy. Not only did Ozaki take Kyouka in under such a stretch of circumstance, his work in literature was exceptional, and contributed greatly to Kyouka becoming the distinguished writer he would end up growing to be. By 1893, Kyouka was ready to publish his first work named “Yazaemon Kanmuri”, written in Japanese as “冠弥左衛門”. By May, Hi no Newspaper, a news source based in Kyoto successfully serialized this piece. As for the initial impression of the first bits of his story: it did not impress critics, which prompted the editor to remove it completely from the newspaper. Just as it was about to be removed, Ozaki Koyo appealed that Kyouka should be given another chance. The editor took in the influential writer’s request, and the story was given the green signal to be printed. Another publication called Hokuriko Shinpo from Kaga, Ishikawa bought the story from Hi no in 1894. It had to be reserialized once more. Because of Koyo’s endeavors of actively endorsing the young writer’s work, instead of receiving unfavorable criticism, Kyouka’s piece gathered appreciation from the literary community. After Kyouka’s father died on January 9, 1894, he went back to his hometown and thought to look for a job that would support himself, his younger brother, and his grandmother, as writing didn’t pay much. His grandmother insisted he went back to Tokyo, and so he did, and wrote more, including “The Righteous and the Chivalrous” or “Giketsu Kyoketsu” (義血侠血) (which would end up becoming a silent film in 1933 called “The Water Magician” or “Taki no Shiraito (滝の白糸)”), “The Reservist” or “Yobihei” (予備兵), and lastly, Yomiuri Shimbun. 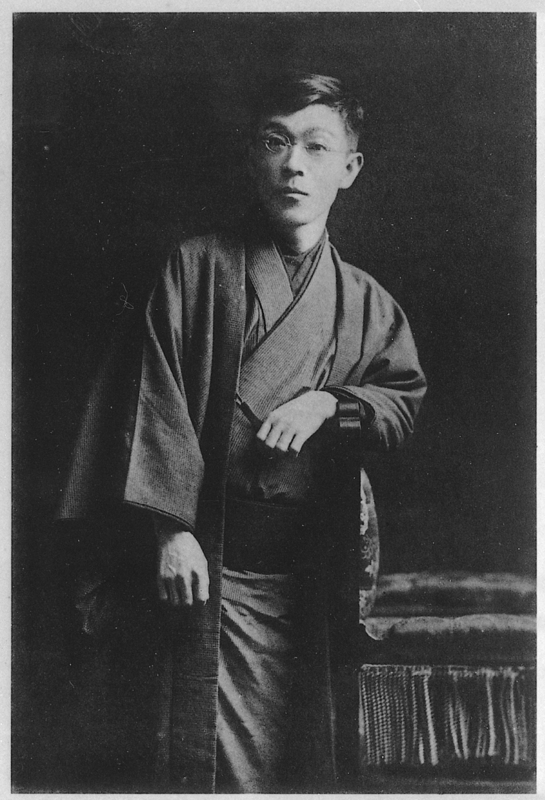 Kyouka would end up taking a job that involved working on an encyclopedia in 1895 to support his family, which involved him moving to the Koishikawa part of Tokyo. In that same year, Kyouka created a story, published in a magazine called Bungei Kurabu, that would earn him major success called “The Night Watchman”, or “Yakojunsa” (夜行巡査). A notable writer named “Reiun Taoka” took interest to his other work called “The Surgical Ward” or “Gekashitsu” (外科室), which paved the way to be included in the company of fellow literary authors. Kyouka ended up convincing his grandmother to live with him by 1897, as he was going to acquire a house in Koshikawa. Again, he continued to write but was plagued but the recurrence of the beriberi disease. This is during the era that he wrote: “The Holy Man of Mount Koya” or “Koya Hijiri” (高野聖), one of his widest-read works, symbolic of his authorship. It was officially published in 1900. As young as 29, Kyouka would meet problems with his gastrointestinal tract. To deal with this, he went back to Kanagawa but stayed in the city of Zushi. While there, he met up with a friend from childhood who introduced him to a woman named Ito Suzu (伊藤 すず). She would help Kyouka cook his meals initially, but the friendship blossomed into something more. The two decided to live together in the same house that was in the geisha district, Kagurazaka, in Ushigome. While the two wanted to wed, Koyo forbade it, delaying their ceremony. In the same year that they started living together, which was 1903, Ozaki Koyo passed away. Just as much as Kyouka had respect for and felt indebted to Koyo, Koyo also fretted over Kyouka, as he was worried that Kyouka would not be able to sustain himself and still gave written opinions/corrections of written work drafts of Kyouka until he died. 3 years after that, Kyouka’s grandmother died, and his digestive woes worsened, so he moved back to Zushi again and stayed there for four years, despite initially intending to stay for only a while. Kyouka’s digestive problems and other ailments contributed much to the dreamy mental state that he was in when he lived in Zushi. His house was not in good condition either, so his roof would often leak, but he was still able to write a lot. 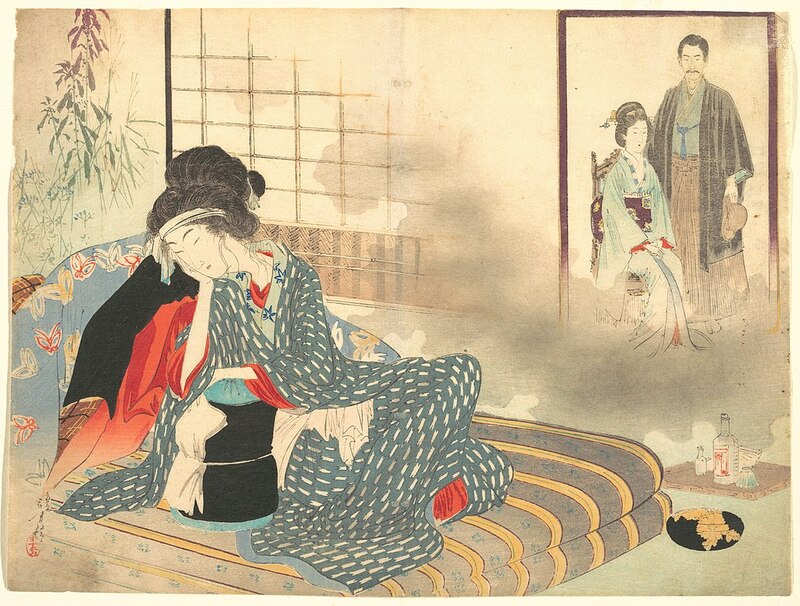 One of his stories written there called “One Day in Spring” or “Shunchu/Shunchu gokoku” (春昼・春昼後刻) had such an ethereal feel to it that some would say that had it not been for his illness, the graphically supernatural, floating-consciousness aspect of the story would have never existed. Eventually, Kyouka got better and moved back to Kojimachi, Tokyo in 1908. He wrote three more stories, and his works were being collected and made into volume batches by 1910. From 1913 to 1914, he created four more stories that would become major hits. He would also start writing playwrights at this period. All of these years were spotted with his suffering from beriberi but still continued to write as he traveled around Japan. He became a member of the Imperial Arts Society after creating his final masterpiece called “Pink Ume Blossoms” or “Usu Kobai” (薄紅梅). Bungo Stray Dogs is the name of both an anime and manga series that uses names of Japanese writers, often from the late Meiji period to the Taisho period, for their own characters. Kyoka Izumi is a character, but in the anime, the name belongs to a girl. Her ability in the anime is “Demon Snow”, and she is part of the armed detective company. Other characters that play a part in her storyline include Atsushi, Akutagawa, and Fukuzawa.